If you care about weight maintenance, holiday dinners are where your resolve gets tested. Assuming there are any healthful options at all, it’s most likely a gloppy coleslaw, tray of cold raw vegetables with ranch dressing, or whatever other tasteless nod to nutrition a deli can concoct. Theoretically, you could be virtuous and subsist on these rations, calmly ignoring the warm- out-of-the-oven cheese puffs, the bacon and cheese stuffed dates and the bread bowl with spinach dip that costs 1000 calories just to look at. With competition like this, however, virtue is sure to take a back seat. This is where survival strategies come in. Only one person at a holiday party has your health as a priority: You. So You must have a strategy for successfully surviving holiday parties. Maybe you just blow things off because you go to only one party a year. Maybe you eat beforehand and go to the party for (just one) dessert. Maybe you view the party as just a place to talk to friends, not an eating event. Maybe you bring a dish that you’ll love to and can eat. Sure it takes time and money to make a colorful, tempting salad–especially when there’s a free, no-effort meal at the party. But you would be feeding yourself anyway, why not make enough to share? You’re sure to make a more fun and interesting salad–besides making friends with other party goers in the same boat. Ready to give the Salad Strategy a try? The Dish Since salads are my party strategy, I bought two neat salad bowls that showcase them beautifully. The Greens Just walk right past the iceberg to thevibrant greens of romaine, green leaf, red leaf and butter lettuces. Or make a spinach salad–or make a mixture of all. Since lettuces are a cold weather crop, they are very tasty and sweet right now. Vegetables Skip the tomatoes, cucumbers and peppers. They are out of season and won’t tastegood enough to satisfy. Instead, add color and nutritional depth with shredded carrots, roasted beets, diagonally sliced celery, mushrooms, frozen petite green peas , corn perked up with a light sauteeing, and avocado. Fruits Nothing adds “festive” to a salad like fruit. 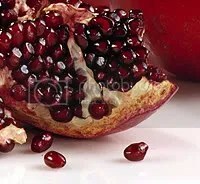 Deep red pomegranate seeds are the perfect holiday color. Apples and pears are great local and seasonal options and become candy-like when roasted. Good oranges are now in stores. And in a hurry, don’t forget about dried fruits: raisins, figs, dates, cherries, and cranberries . Cheeses bind a salad nicely with creaminess. The code word is moderation, which is why I like high-impact varieties like Parmesan and feta: lots of flavor in a small, low-calorie amount. Breads and Grains are unusual, but they add a satisfying, filling taste: Try tossing in a little wild rice or bulgar or topping with whole grain croutons. The Dressing While homemade can be quite special, it’s fine to use ready made, as long as it’s free of additives, colorings, etc. Meats Most parties, thankfully, have some plain meat (turkey, a roast beef, a ham.) I usually bank on this for a side or topper for my salad. Cost Hey, it’s the holidays–and your health. Spend enough so you are ecstatic about eating that salad. Remember: No Free Lunch Eating well doesn’t come without effort. But at the same time, effort always brings rewards, like the great feeling you’ll have when you survive a party without blowing your eating ideals. Ready for more practical cooking skills, ideas and inspiration for a lifetime of healthful eating? Healthy Eating Coach Mary Collette Rogers teaches hands-on classes to build confidence and comfort in the kitchen: Next series begins January 13.